Federal agents said a man wanted for large-scale drug sales fired a gun at them when they went to arrest him at his Chattanooga residence on Thursday. 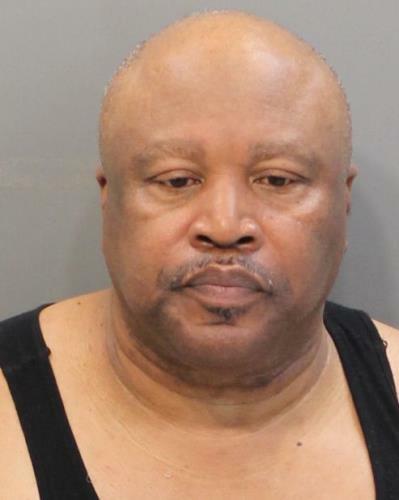 Samuel James Weaver, 60, then tried to flee out the back door of his unit at 3106 Noah St.
Weaver is now facing federal charges of selling large amounts of cocaine, heroin and meth. Officers said when they arrived to execute a search warrant they immediately identified themselves with a loud PA system. They said they also knocked on the front door, but no one answered. As they attempted to enter the house, they were fired upon with the bullet penetrating the front door and door frame. Weaver then ran out the back door, but re-entered the house when he saw law enforcement positioned there. He eventually surrendered. Agents said Weaver admitted possessing a 9mm handgun and firing it at officers. He said he left it on a table when he tried to escape out the back. A search turned up 312 grams of crack cocaine, 214 grams of heroin, 74 grams of meth and 103 grams of powder cocaine, a pound of marijuana, plus several bags of assorted pills. Portions of the drugs were in baggies. Agents found some $20,000 cash on Weaver and in a bedroom closet. A loaded rifle was found in the bedroom and a second loaded handgun was found on a table outside the bedroom. A third loaded handgun was found in Weaver's car parked outside. Weaver said he had lost his job about two and a half years ago due to a back injury and began selling drugs. Weaver said he was introduced to a drug source in Atlanta about two years ago and began buying from him a quarter to a half-kilogram of powder cocaine and 8-10 ounces of heroin on a monthly basis. He said he brought the drugs back to Chattanooga and sold them in small amounts. He said he had the guns in his residence for protection because people knew he sold drugs. He said he had the gun in his vehicle for protection while he was out selling drugs. Williams was convicted in Federal Court in Middle Georgia in 2007 of selling drugs and given a five-year sentence. His probation was moved to Chattanooga in 2013. It has been revoked two times. Agents said Weaver is also believed to have numerous felony burglary convictions.